Web Security Services Important to Online Businesses? Web security services are one of the fastest growing industries nowadays. In 2015, companies spent $75 billion on their web security services. Moreover, reports predicted that web security expenditures reach up to $170 billion by 2020. Despite the budget splurge on web security services, the cyber criminals have to always keep up with the ever-changing security demands. Last year, Verizon Data Breach Incident Report reported that there were 39% successful crimeware incidents involving ransomware. They're able to victimize more companies every day than before. Website owners can't rely on the promises that their current web security services provider offer. They deserve solid results of protection. They need to keep searching and upgrading on the demands that always pop out of the blue, because the attacks of cyber criminals can always put their reputation on the edge. The web security services can make content delivery and enhanced website security through a "caching" content delivery network faster . Ironically, most website software provides only non-caching content delivery, which could be considered as a namesake feature that contributes nothing towards enhancing website security or optimizing website performance. If you are an online merchant who has to handle credit cards online, then the web security services must ensure a simple and automated way for continued compliance with the required PCI DSS standards. Yes, it's important to get a web security services that suits the website requirements of a company. Though, there's a promising web security services that can handle expectations. Cwatch offers the most efficient services for different online businesses. It is the web security services that combines a Web Application Firewall (WAF) provisioned over a Secure Content Delivery Network (CDN). It is a fully capable website security check tool from around-the-clock staffed Cyber Security Operation Center (CSOC) of certified security analysts and is powered by a Security Information and Event Management (SIEM) that leverages data from over 85 million endpoints to discover and mitigate threats before they happen. Your team of always-on certified cybersecurity professionals giving 24 hour surveillance and remediation services. The web security services has an advanced intelligence leveraging current events and data from more than 85M endpoints & more than 100M domains. The web security services has a global system of distributed servers boosting performance of websites and web applications. The web security services has PCI Scanning enables merchants and service providers to conform with PCI DSS. The web security services identifies malware and other viruses, provides the tools and methods to remove it, and helps to prevent future malware attacks. On the top on all the favorable qualities of cWatch, website owners can test it out for free. No need for credit cards. 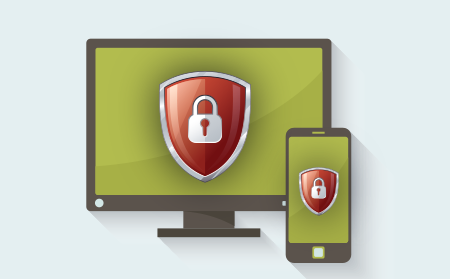 We created plans that suit any interested website owners to increase their website security. The Comodo cWatch Web contains unique sophisticated web security features that are not available in other web security services.